Emirates Country Manager Enda Corneille has said that with the arrival of new carriers, “the competition east and south is tremendous so the challenge for us is about continuing to do what we do” and says Emirates has good brand identity in the Irish market. 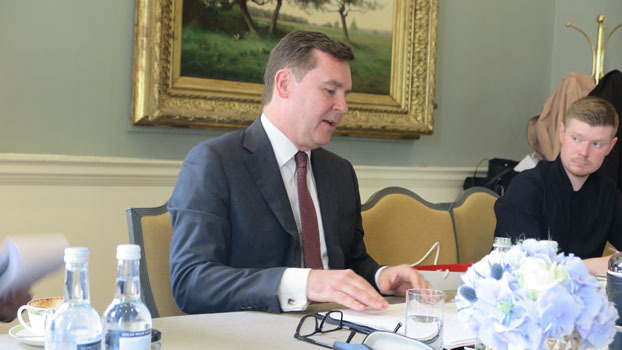 Speaking at a media briefing in Dublin’s Merrion Hotel, he also said that plans for a third daily service out of Dublin have been put on hold temporarily – due to issues at Dublin Airport. “We we looking to increase our frequency this year to a third flight but we ran into a few problems on the infrastructure front,” he admitted.